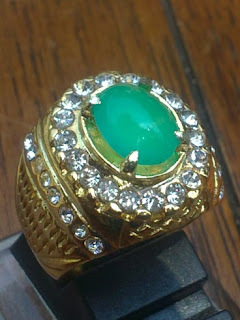 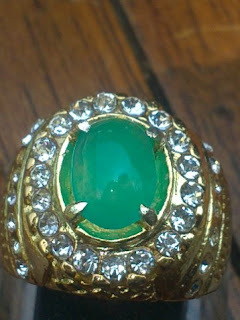 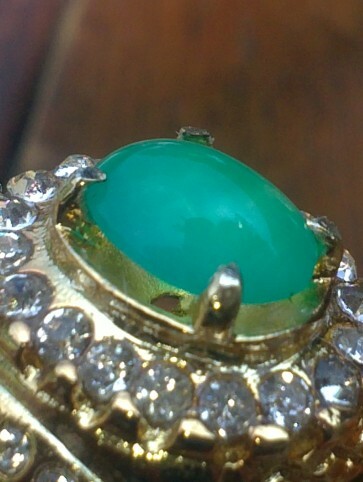 This is a small but nice green Bacan Palamea from Halmahera Islands. It is already set on a beautiful 16mm golden chromed brass ring. The size of the gems is quite small but the color and clarity are perfect. The dimensions is (est) 9,2mm x 6,5m x 2,5mm. 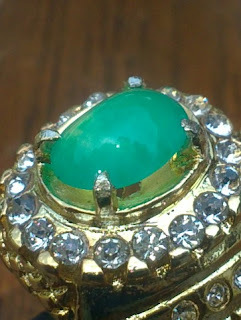 a nice small but green rare gems for your collection! 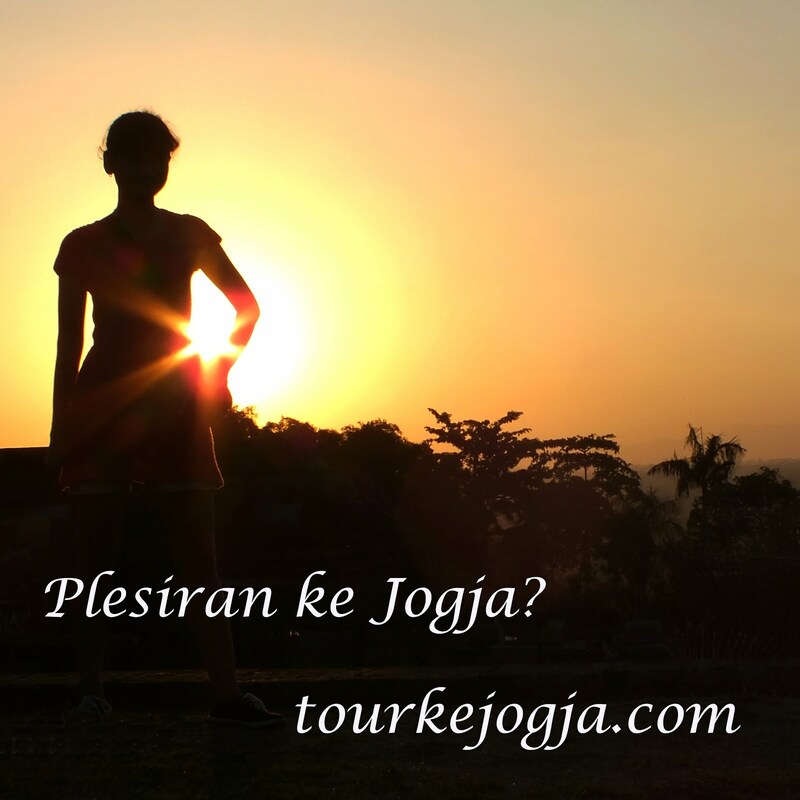 Natural Bacan Palamea!